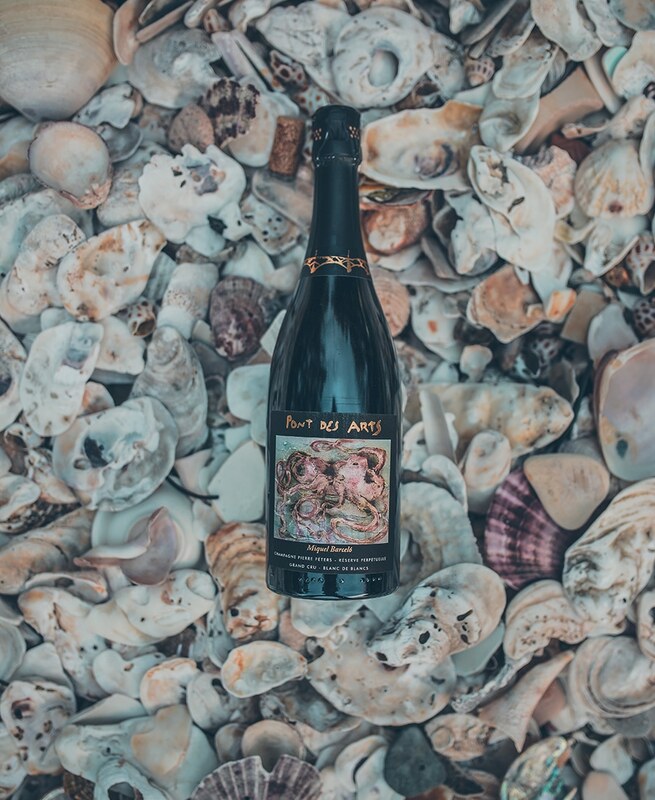 PONT DES ARTS is proud to introduce its two special cuvées of very limited edition Grand Cru Champagne Blanc de Blancs, made in collaboration with the famous Champagne grower-producer Pierre Péters & the world-renowned artist Miquel Barceló. 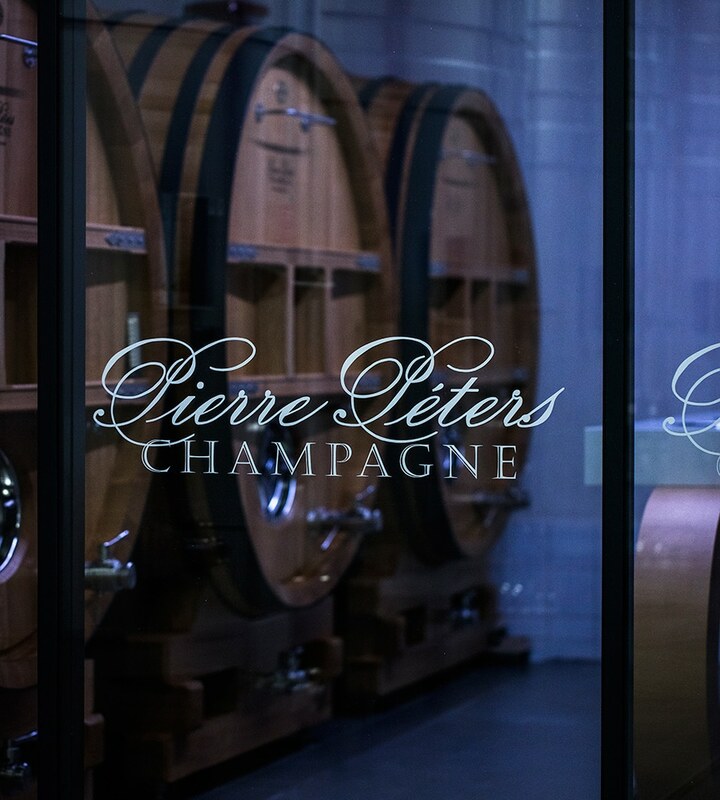 The Pierre Péters estate, situated in the heart of the “Côte des Blancs”, has been a family house for six generations and has produced Grand Cru Blanc de Blancs Champagnes since 1919. 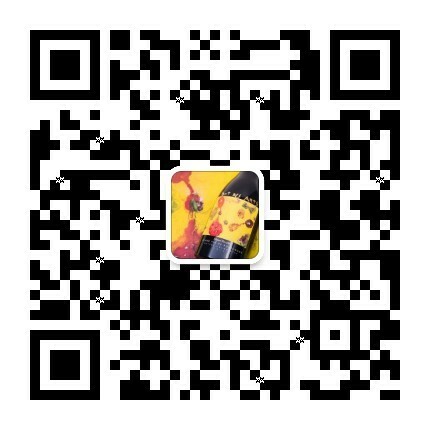 For nearly a century, successive generations have succeeded in evolving their vineyards and winemaking tools to become nowadays one of the most renowned harvesters in the world. 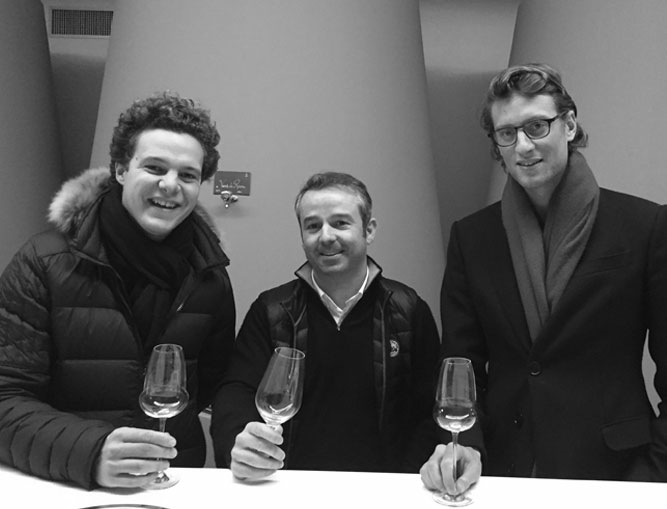 In 2015, the French winemaker Paul Pontallier, his son Thibault and Arthur de Villepin (Founders of PONT DES ARTS), travelled to Mesnil-sur-Oger to work with renowned winemaker & friend Rodolphe Péters, to create this special blend of “Réserve Privée” Champagne Grand Cru Blanc de Blancs. Displaying a dazzling painting from Miquel Barceló, the beautiful “Octopus” was selected as the surrounding bubbles actually have a golden effervescence when looked at closely, reminiscent of the fine mousse of the champagne.The octopus is the jester of the sea which reminds us that while being a serious champagne, the champagne doesn’t take itself too seriously. Evidenced by its own Grand Cru and Premier Cru classifications, Champagne pays as much attention to terroirs as its erstwhile rival Burgundy. Within the Champenois context, the octopus’s eight tentacles are a metaphor for Champagne’s permitted grape varieties, of which there are eight: the white Chardonnay, Pinot Gris, Pinot Blanc, Arbane and Petit Meslier, as well as the red Pinot Meunier, Pinot Noir and Pinot Noir Précoce. If the golden effervescence displayed by this dazzling painting is akin to the fine mousse of Champagne, the salinity and vitality of the octopus are parallel to its intricate complexity. Yet, however profound the wine may be, it is playful a drink as the jester of the seas. This Réserve Privée Blanc de Blancs consists exclusively of Chardonnay from Grand Cru villages in the heart of the Côte des Blancs subregion of Champagne. 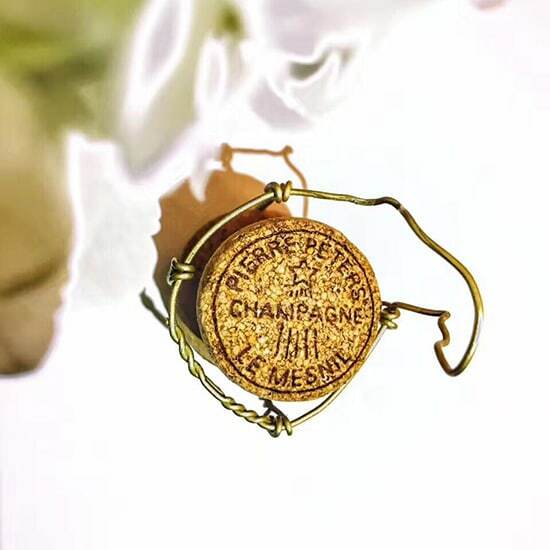 Limpid golden in colour with hints of green, this adorable Champagne has an irresistibly floral nose, effusing notes of citrus fruits, almond and fresh white bread, effortlessly combining freshness and finesse. Offering a persistent stream of fine mousse, the palate develops from white flower and white fruits to mandarin, pomelo, nuts and pastry. The creamy and supple palate is balanced by minerality, leading to further complexity and elegance. A native of Majorca, the largest of the Balearic Islands in the western Mediterranean, Miquel Barceló grew up surrounded by maritime landscape, which in turned became one of his favourite motifs. The gigantic octopus, the archetypal sea monster lurking beneath the unknown azure threatening ships and men for centuries, is rendered yet more realistic and convincing by Miquel Barceló’s artistic virtuosity. With his contemporary use of mixed media, the textured flesh and blushed spots of the octopus are almost as sculptural as a relief. The octopus is the metaphor for being manipulative. Whether or not he likes it, Miquel Barceló has truly mastered the craft of applying contemporary mixed media to depict ancient themes. This Réserve Perpétuelle Blancs de Blancs consists exclusively of Chardonnay from Grand Cru villages of Champagne. A seamless cuvée of more than 20 vintages, it is the very definition of layered complexity. Radiant golden in colour with tinges of green, this compelling Champagne is both floral and fruity on the nose, emanating citrus zest, stone fruits, hazelnut, acacia and saffron. The palate delivers a mélange of grapefruit, greengage, tangerine confit, mixed spice and toasted almond. For the initiated, the twist of salinity and balance is reminiscent of the Grand Cru villages of Le Mesnil, Oger, Cramant and Avize.